Fantasy Flight Games is proud to announce a new tournament to celebrate some of the most vibrant and passionate communities for our games: the 2017 European Championships at the UK Games Expo, June 2nd - 4th! Offering a main tournament for each of our competitive Organized Play games, the European Championships will be a convergence of players ready to vie for the prestige and glory this event offers. Climb the ranks and win travel and accommodations for the World Championships, as well as an opportunity to affect the future of your favorite game! The exact schedules and tournament structures will be announced as the event approaches. Read below for some additional details we can share now, and begin making plans to attend the 2017 UK Games Expo, June 2nd - 4th, to compete in the 2017 European Championship for your favorite game! European Championships, just like the North American Championships, are a huge tournament for each of our competitive Organized Play games. Regardless of nationality, all competitors from around the globe are invited to the fun and competition at these events. Each game's main tournament will begin with Swiss rounds, in which all participants can play, and culminate with elimination rounds to crown a Champion for that game! Side events are also offered, usually featuring some alternate formats or variants for our games. As anyone who has attended the North American Championships at Gen Con can tell you, the environment of this event will be very special. Playing with and against the top competitors of your favorite game, surrounded by people engaging with other FFG titles, stationed among the multitudes of gaming convention attendees, creates a truly unique experience for everyone involved. These Championships are the largest convention competitions that Fantasy Flight Games holds. Where prestige and glory are concerned, the European Championships sit just below the World Championships at the Fantasy Flight Games Center in Roseville, Minnesota. Europe contains many different communities among its many nations for each of our supported games. With excellent travel infrastructure and an abundance of welcoming hosts for Organized Play events, a European Championship celebrates this rich cornucopia of competition. It also represents a unique opportunity to offer a highly-prestigious event in a more accessible way for a sizable and concentrated portion of our players. Last year, for the first time, we separated the National Championships and North American Championships in the United States. Starting in 2017, we are establishing the same type of event in Europe, by creating completely new prizes shared only by the North American and European Championships. These two events will be very similar, with small structural differences due to attendance and features of the convention they are held at. How Do the European Championships Fit Into Organized Play? 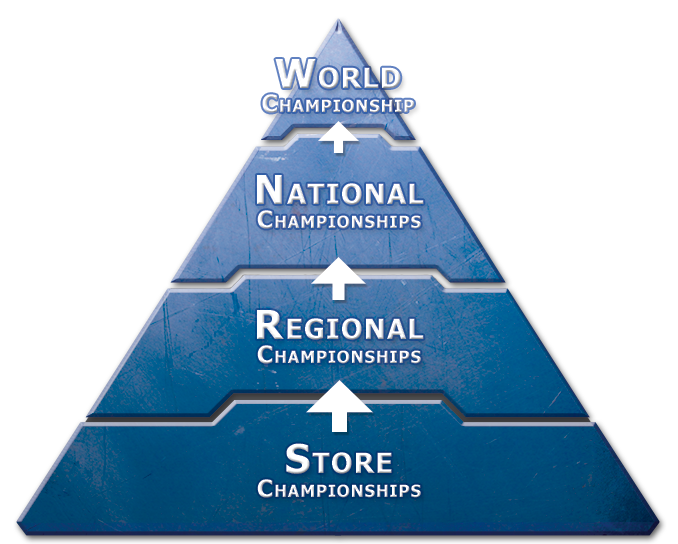 The European and North American Championships are part of our Championship Series, but they lie outside of the established ascending Championship pyramid . While they are some of the most prestigious events, they also share in the spirit of welcoming compelled competitors of any skill level into the fold. No other Championship offers byes at the European or North American Championships, meaning everyone starts on the same footing in their battle to claim the title. Just don't expect the path to the top to be an easy one! What Prizes Will Be Offered at the European Championships? A variety of exclusive prizes will reward competitors that rise to the challenge of North American or European Championships. Additional prizes will be offered to those who perform well and place among the top finishers. There are even some special prizes awarded for side events. We will preview all of the tantalizing prizes closer to these events in 2017. The North American and European Champions for each competitive Organized Play game will receive travel and accommodations for the following World Championship for their game, along with a first-round bye. They are allotted two free entries to their game's World Championship main event, for themselves and a companion. These Champions also win the opportunity to influence the future of their game! European and North American Champions of our card games will each cooperate with game developers to inspire the new design of a future card for their game. Similarly, European and North American Champions of our miniatures games will each cooperate with the Organized Play team to select and conceptualize the alternate art for a future prize card. Potential attendees should begin planning their path to victory now! The 2017 UK Games Expo admission tickets become available December 1st, and event tickets will become available in 2017. 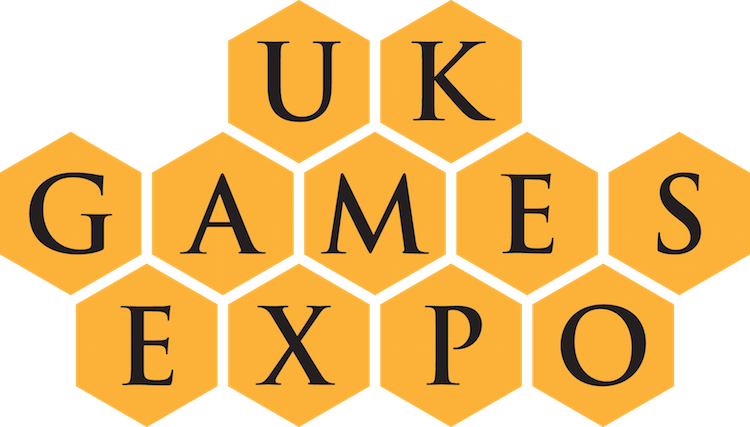 Visit the UK Games Expo website for further details, and we look forward to seeing you at the 2017 European Championships, June 2nd - 4th!